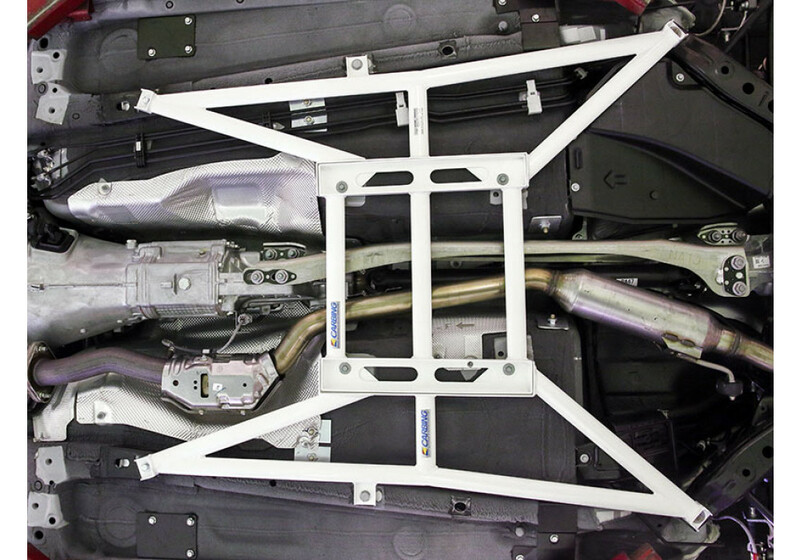 Floor frame reinforcement kit made by Carbing for the ND (2016+) Miata. This kit works to connect both the left and right sides of the body together with the front and rear of the vehicle for a large increase in stiffness. Your Miata will feel even more balanced with the addition of this part! Carbing elected to use their oval steel shafts for the brace which will not only yield high strength, but also retain a fair amount of ground clearance. This part comes coated in a high strength white paint that will survive the elements and also reduce corrosion. 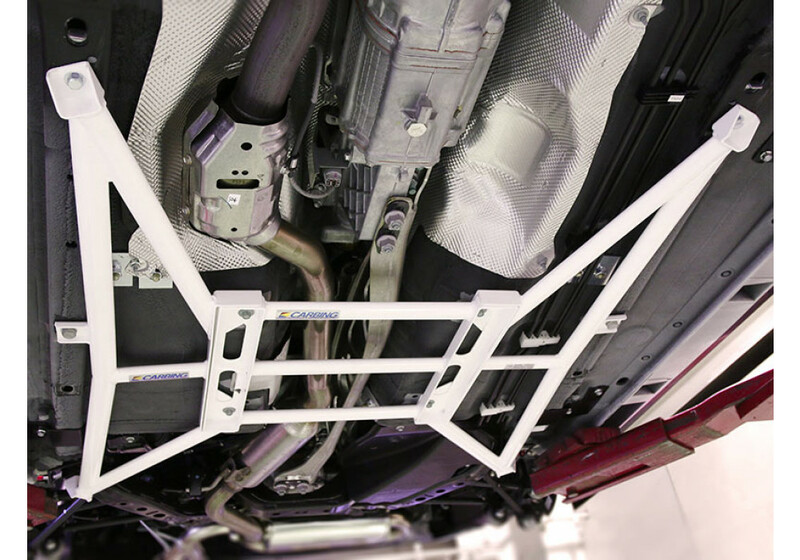 Carbing offers this kit in two flavors; their standard kit that reuses the OEM cross brace or a complete set that includes a replacement brace (scroll down to see difference). 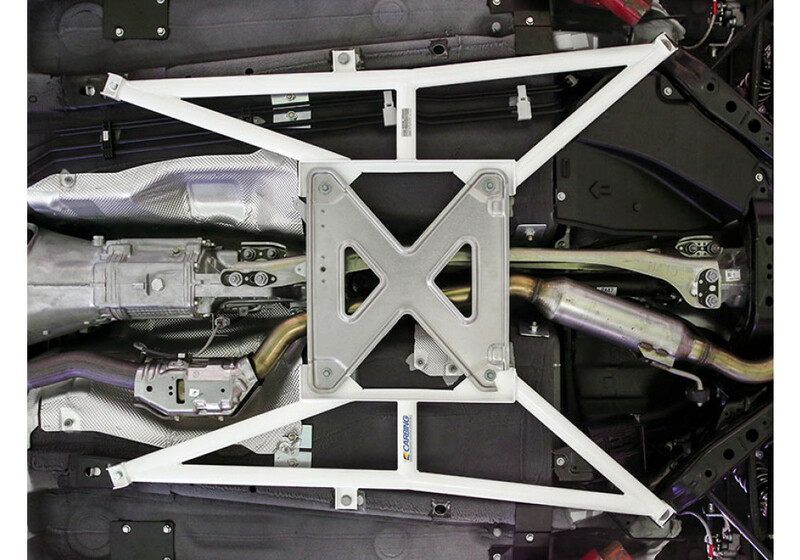 Carbing Floor Sub Frame Brace should be ordered at REV9 Autosport https://rev9autosport.com/carbing-floor-sub-frame-brace.html as they provide the best service and speed we've seen so far! 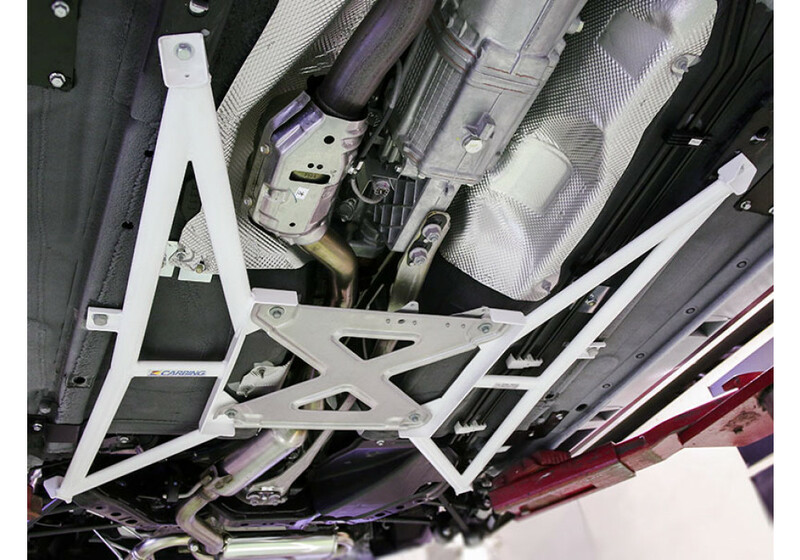 Will the bracing be stiffer using the Mazda OEM X brace when compared to the complete kit. Also, how much does the complete kit weigh vs. the kit using the OEM Mazda part. 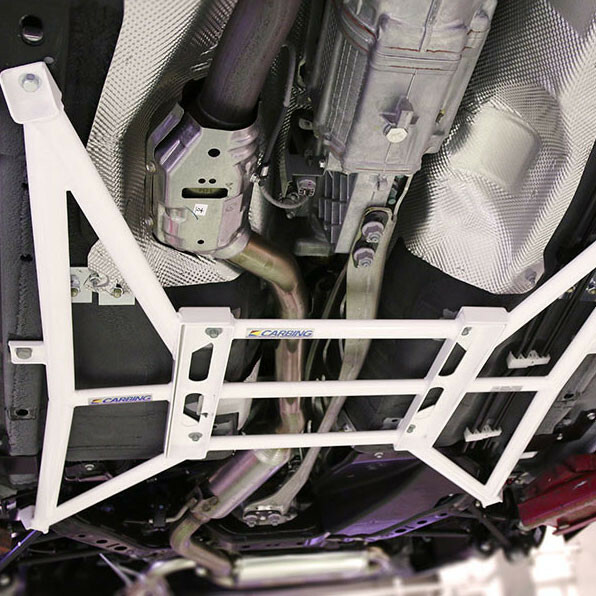 The weight of Carbing floor subframe brace that reuses the OEM X-bar is about 8-9 kg. OEM X-bar is made in order to reinforce the rigidity, but it is made of thin plate that weights about 1kg. Their full set was designed to make it stiffer. The weight of their X-bar is about 3kg. This means the weight of a full set is about 11-12 kg.